Cara Davis Creative Services exists to help entrepreneurs craft their story and attract their target audience with compelling content – no matter the industry. The ultimate goal? Creating engaged communities that thrive online and create sustainable streams of revenue for their owners. If you need to generate free, targeted traffic to your online business or product, you need a strategy, and it starts with content that leverages your personality as a business owner. I began my company after years of working at an agency to help entrepreneurs craft their story and attract their target audience with compelling content – no matter the industry. The ultimate goal? Creating engaged communities that thrive online and create sustainable streams of revenue for their owners. 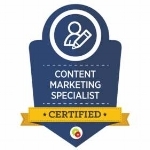 With an editor’s eye for detail and a journalist’s knack for story, Cara Davis is a Certified Content Marketing Specialist who has worked with some of the top influencers in the direct response marketing industry. Her writing has appeared in The Huffington Post, Fox News, The New York Post and CNN, and she's been quoted in USA Today and The New York Times. She got her start as part of the launch team for RELEVANT magazine, where served as Editorial Director for six years. There, she launched a magazine for women, Radiant, wrote her first book, Cheap Ways to Tie the Knot, and co-hosted the Relevant podcast. Cara received a degree in journalism and a minor in communication design from Belmont University in Nashville, TN. Click below to schedule a call or send an email to get started.